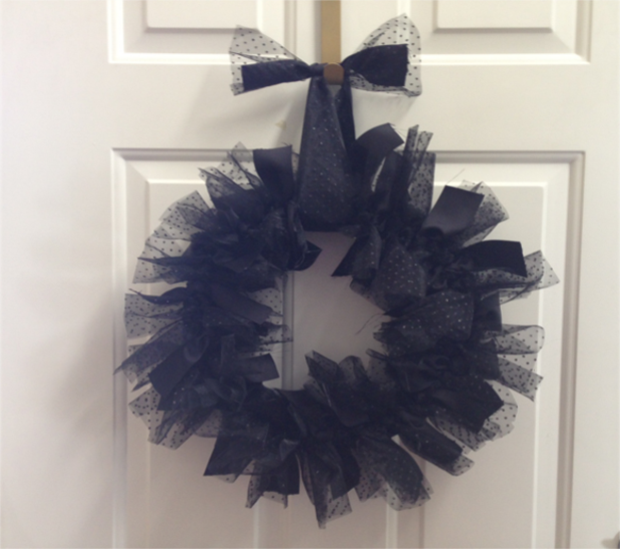 Andrea Atwater creates a wreath made specially for Halloween using a foam wreath and some ribbon! 1. 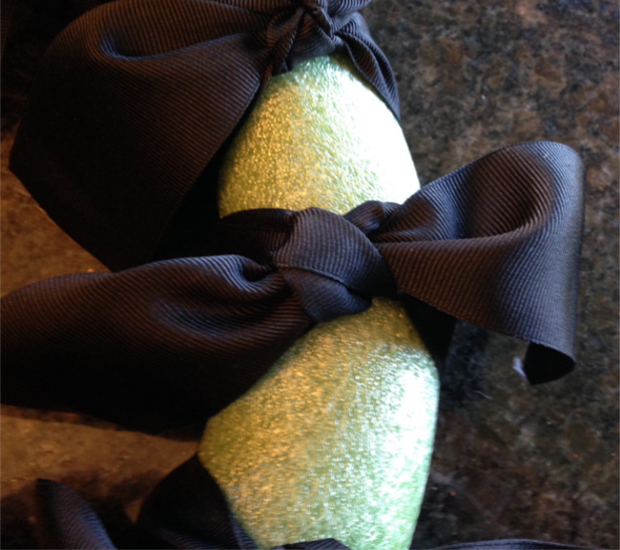 Cut your ribbon into 16-20 pieces that are each 20-inches long, and one 24"-30" for the hanging ribbon. 2. 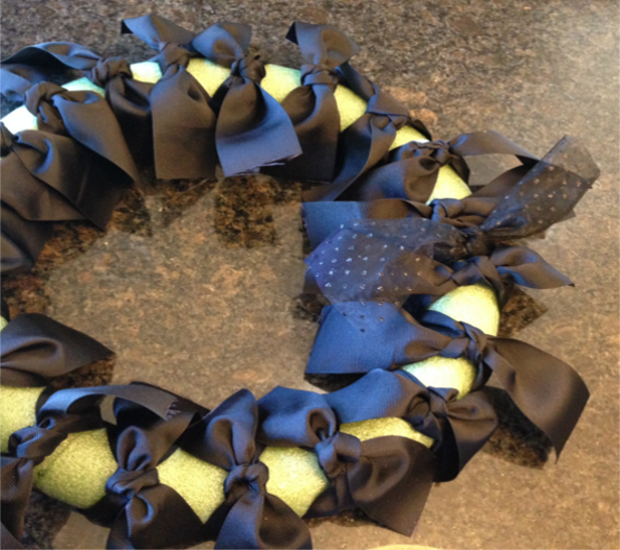 Tie one piece of the 20-inch ribbon in a messy knot around the wreath form by folding over twice for the knot. 3. 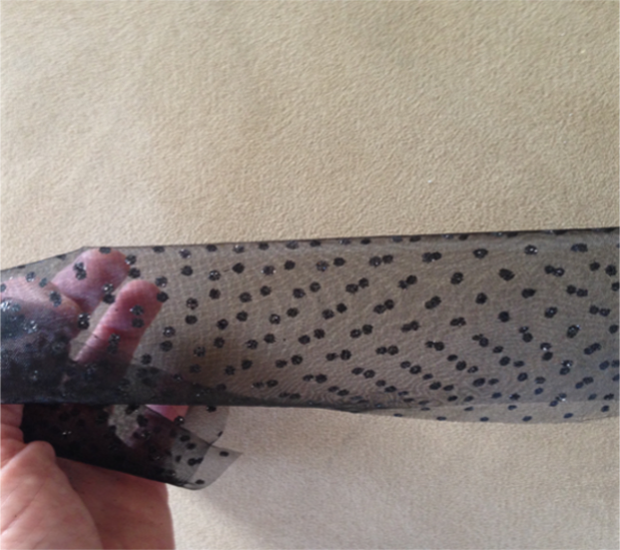 Continue this until you've tied all pieces of ribbon, pushing them close together in between. 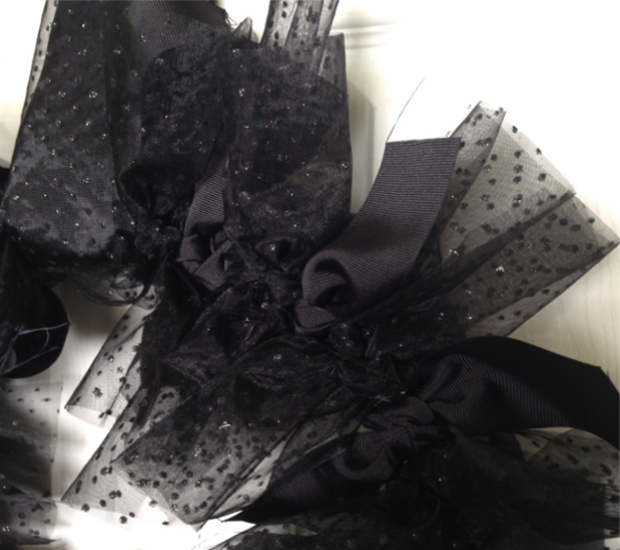 I added the glitter sheer ribbon for some extra glam. 4. I like the wreath full, so if you want to add more pieces, tie more in. 5. 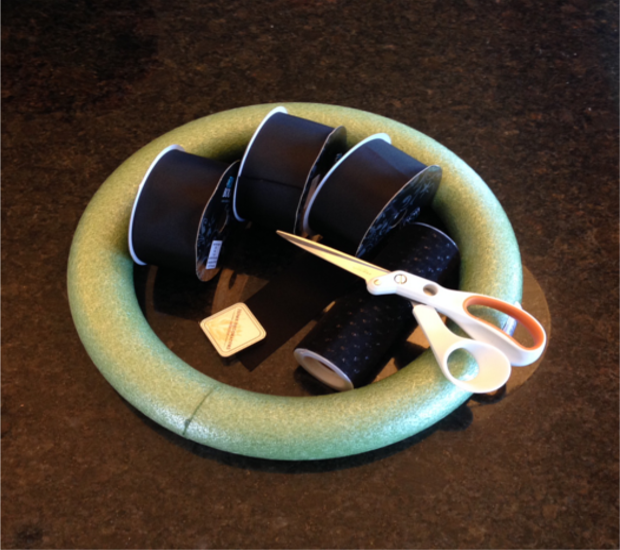 Cut any frayed pieces and even out the wreath by trimming any edges. 6. 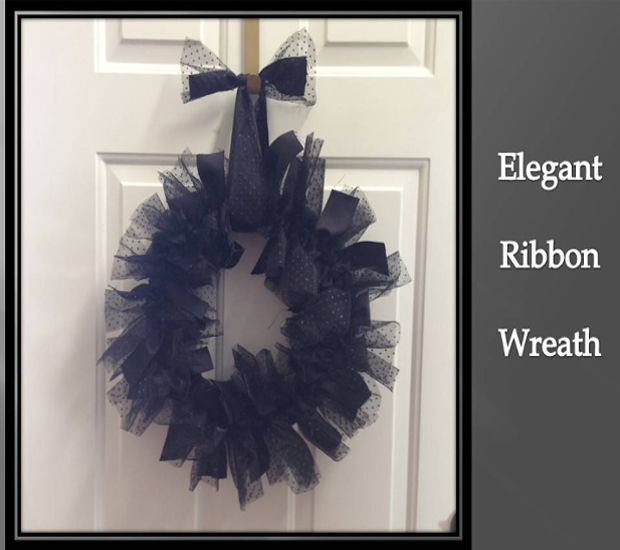 Tie around the wreath with the long piece of both ribbons to hang.